We enjoyed the fall art show so much that we couldn't wait to do it again! Our Spring Art Show & Sale is scheduled for March 12-14, 2010. Look for the Call for Artists coming soon. We are happy to announce that the show will once again be located at the wonderful Polish American Citizens Club (PACC) in Gardner. Take a walk down memory lane by visiting the GALA website for images, award listings and other info from the fall show. The time is short and we are gearing up. If you would like to get involved and volunteer to help with the next show, please contact us at info@galagardner.org or 978-630-2340. 583 Main Street, Leominster, MA. 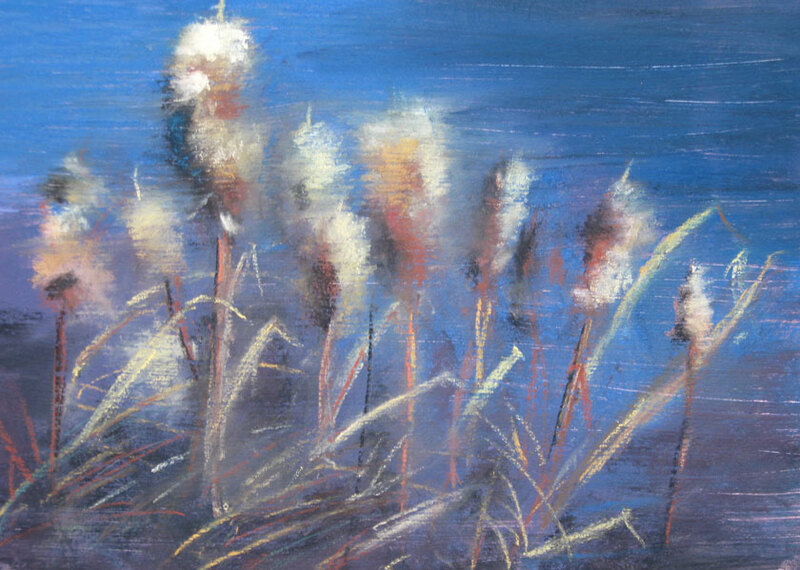 Lisa will demonstrate an 8 x 10 close up of Cattails which will be number 5 in her Cattail Series. This series originated from a 5 x 7 Plein Air pastel completed on site (see image above) at Doyle Conservation Center in Leominster, MA. co-curated by Gala member C. M. Judge, and V�ronique Sapin of France has recently been acquired by the National Gallery of Prague for its permanent collection. at the Unitarian Church on the Upper Common, Fitchburg. Admission is a suggested donation of $6. Vieux Soulier is comprised of fiddlers Leo LeBlanc & Rich Gosselin, Paul Luria on guitar and harmonica, Den Poitras playing his unique street bass and Paula Cookson Luria on spoons. Come on down. You'll be dancing! Art Alonzo, a regular performer at our GALA art shows, is an active musician who plays jazz piano locally and has a music studio. He makes house calls to provide music lessons on piano and takes beginners of all ages. Art calls it "retirement after 23 years in elementary schools" and has had over thirty thousand students during that prior experience. In this class we will explore techniques for creating colored pencil drawings with depth and vibrancy. Learn to build bold and exciting color using a gradual layering technique. Various techniques, papers and boards will be discussed. 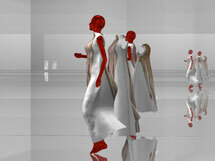 Students will begin by working from photographs and line drawings provided by the instructor. In the later weeks we will work inside from a still-life setup. We will also discuss options for protecting and presenting your finished work based on the chosen work surface. 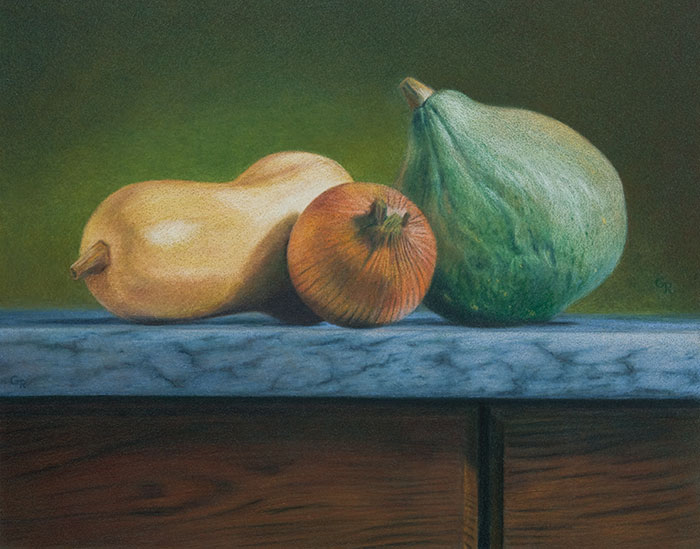 Join us for a season of in-depth colored pencil exploration! This workshop is designed for those with some drawing experience. Working from a still life setup, you will make a quick line drawing. Then the real fun begins! Mix and layer color to create a colored pencil "painting" with the illusion of depth and form. Using colored pencils and a sanded board designed for pastel artists, you will experience the painterly possibilities of this exciting medium. The instructor will supply colored pencils, but you are encouraged to bring any pencils you already have. This workshop is especially designed for colored pencil artists who normally work with photos and for those new to the medium. For more information, see the Sharon Arts Center Winter Catalog or call 603-924-7256. First Church Unitarian Universalist at 15 West Street, Leominster MA. Guest speaker Emily MacRae will talk about health care and racial disparities. Javier barazarte-Venezolano, and Mickey Guzman. Donations are greatly appreciated but not required. in Choreography, Fiction/Creative Nonfiction & Poetry are now being accepted with a deadline of January 25, 2010. The Artist Fellowships Program offers fellowships of $7,500 and finalist awards of $500, as direct support to individual artists in recognition of artistic excellence. As a reminder: the deadline for 2010 applications in the categories of Drawing, Painting, and Traditional Arts has passed. Grant announcements in those categories will be made by early February 2010. Categories reviewed next year (in the 2011 cycle) will include Crafts, Film & Video, Music Composition, Photography, Playwriting, and Sculpture/Installation. Read the program guidelines and Apply online. Massachusetts residency is a must for the PRIME program, and there is an income qualification. Also, applicants must demonstrate seriousness about business success and completing the training. Note that all classes will be held in the Greater Boston area. The program is funded in part by a grant award with the US Small Business Administration. Arsenal Center for the Arts in Watertown, MA. the creative work of Massachusetts artists. Ellen Schneeflock (Oils and Watercolors) now to January 9. Millie Williams (Watercolors) now to January 9.